oh, I really love the background! It's really beautiful! They're both smiling! Such a nice wallie. Thanks for sharing! I love ciel,thanks for sharing. Thank you for this wallpaper. Aww...is so cute! I love it! 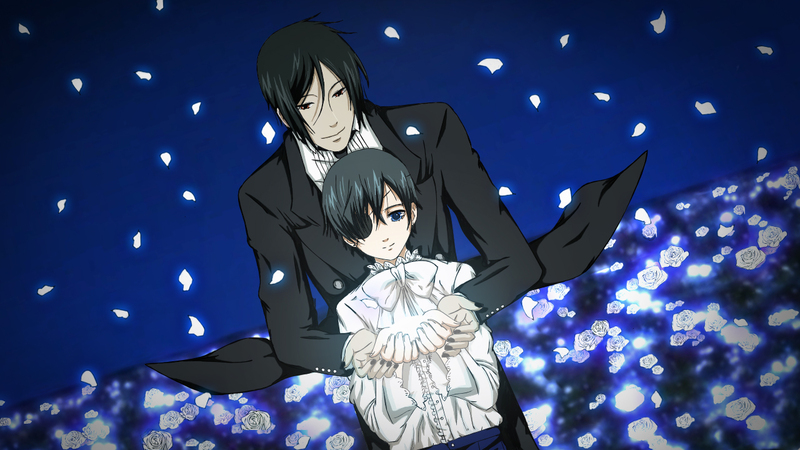 and i love Sabas-chan and Ciel! Thank you for sharing! So cute! Whaaaa, thanks for sharing! This is EXACTLY the motif I have in my mind for a longer time! NIce work on it, though I'd love to see it in a higher resolution... Did you draw them standing like this or is it from some screen cap?